The boys over at SounderatHeart, have created a pretty cool roster generator that will entertain you for hours. 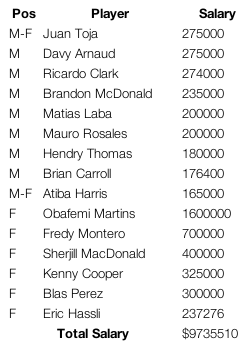 Put in a salary cap limit between $1.5 million and $18 million and the generator will spit out a roster based on the latest salaries released by the MLS Players Union. DP cap hits, off budget players and international player limits are all not part of the formula (i.e. 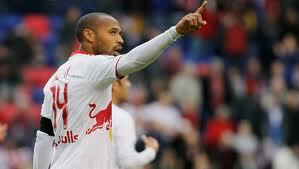 Thierry Henry’s $3.75 million salary counts fully against your cap). 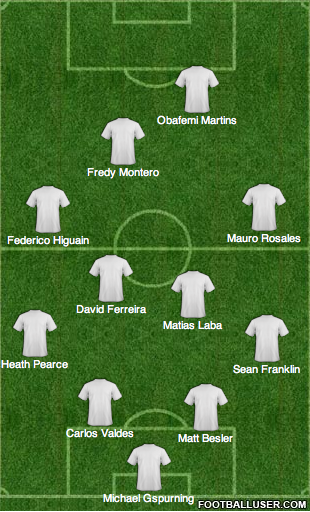 Second coming of Brazil 1982 with the 4-2-2-2. Yes, this team will not play a ton of defense (or any defense) but it will score so much it won’t matter. Of course, being able to play with the salary cap so liberally opens up a whole can of worms. Don Garber has held steadfastly to 2022 as the target for becoming a “top” league, a goal that everyone knows can only be achieved by raising the quality of play through an increased salary cap. The roster generator gives an interesting, if not entirely accurate, look at what the salary cap would need to be in 2022. While it’s easy to look at an $18 million team as the solution, MLS has and will continue to be a league based on fiscal responsibility. That’s not a bad thing at all, but it means an $18 million cap isn’t realistic in the near future. It is, however, likely the cap will see a significant bump when the current CBA expires after 2014. 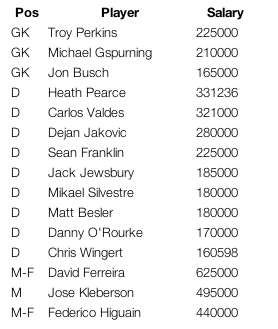 MLS’ strategy so far has been to gradually increase the cap to where it currently stands at around $3 million. But when the CBA is renegotiated, we could see a cap increase of several million. One important thing to keep in mind: with the single entity structure, a cap increase of $1 million per team means a $20 million increase for the league. Currently the total salary budget is around $57 million. If MLS wants to keep the single-entity system, $10 million is probably a realistic cap target for 2022. That’s an all-star team that would probably win the CONCACAF Champions League and then give some “bigger” teams trouble at the Club World Cup. If only it were that simple. The main problem with a bigger salary cap? Players demanding bigger salaries. Minimum salary would be raised and DPs would command even higher wages. 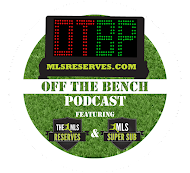 MLS would also have to decide whether to retain the DP rule, the homegrown player exemption, etc. Hurdles exist, but looking at some of the potential rosters is extremely tantalizing.